1950: VISIT THE CLASS OF 1950'S WEBSITE! Obviously many computer surfers are unaware that the class of 1950, also a "Class with class," has a website. You can find it by typing www.hhs50.com in the URL address area. 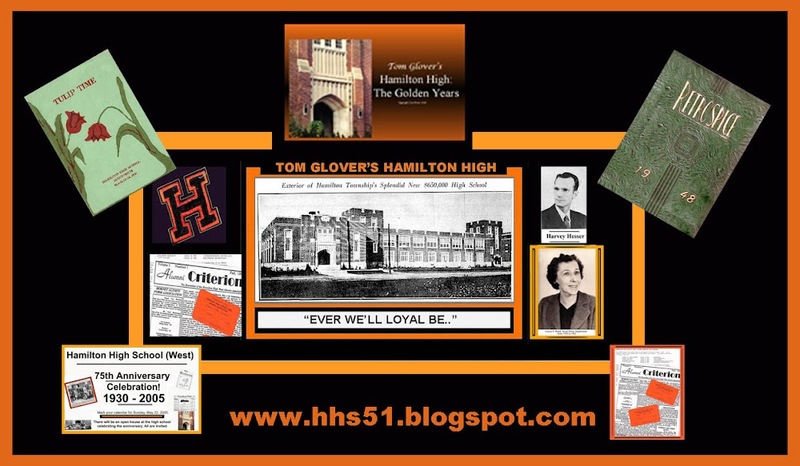 For those Hornets who are in my class of 1951, you will recall numerous names as you page through their very interesting and colorful website. Mr. Art Frank, another product of the HHS's incredible music department is well represented on the site as well he should be. The class of 1950 has done a bangup job of keeping track of their fellow alumni. Visit that site......You'll be glad you did!